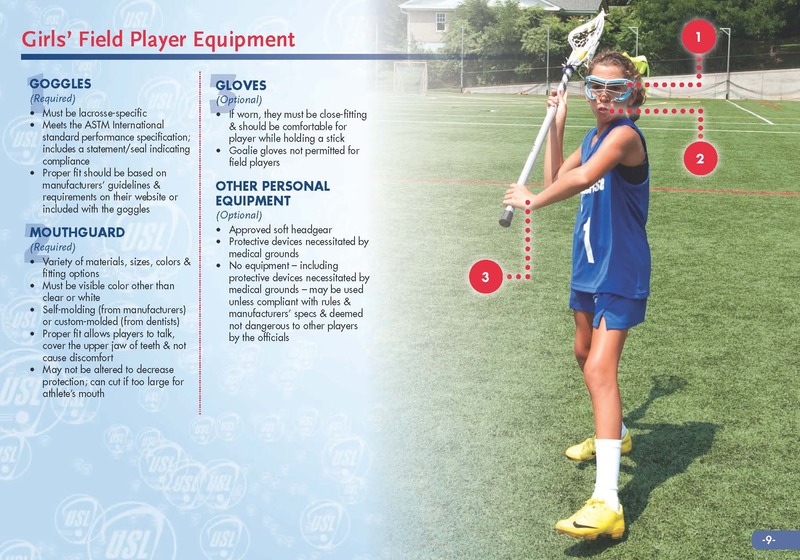 A regulation youth lacrosse stick. Regulations vary by age group. Gloves are optional. They look a little like soccer goalie gloves. Do not get boys’ gloves.